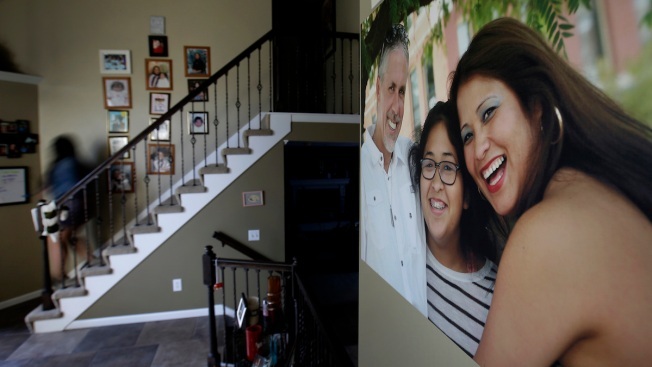 In this May, 24, 2018 photo, Jennifer Tadeo-Uscanga, 17, walks down a staircase lined with family photos at the Kansas City, Mo., home she once shared with her mother, Letty Stegall, who was deported back to Mexico after living in the U.S. for 20 years. A Connecticut high school student has founded a website aimed at providing resources and support for children and teens dealing with the emotional trauma caused by a parent or family member being deported. A high school student has designed an online resource to help immigrant children and teenagers learn how to prepare for the possible deportations of parents or guardians. Sixteen-year-old Jody Bell, who will be a senior this fall at Greenwich High School, said she came up with the idea after hearing firsthand the concerns of some close friends who were afraid to speak with guidance counselors or adults about their fears surrounding deportation. 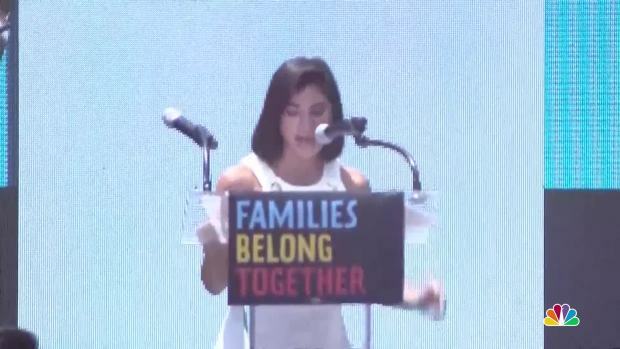 Many, she said, have family members who are at risk of being deported, as President Donald Trump's administration has taken a harder line on immigration. "They would talk to close friends, like me and some others," Bell said. "And that, I think, was one of the first times that I recognized that this was an issue." Bell, who turns 17 next month, said she knew she wanted to "take action" on the immigration issue but was unsure what to do. That was around the time a guidance counselor told her about a new Connecticut-based organization called Girls With Impact, a program billed as a "12-week mini-MBA" in which teenage girls create businesses, nonprofits or projects that will affect the world and their success in life. The online program is geared toward children ages 8 to 18 and is written in a way young people can understand, Bell said. It explains what deportation is, how to talk to family members about it, what a child's options are if a parent or guardian is deported and what should be considered when making a deportation preparedness plan for a child. Bell writes, "In some situations, your parent/guardian may be detained and arrested awaiting deportation without even saying goodbye or having just a few minutes to prepare you. Before this abrupt detainment happens, it's important that you and your family are prepared in case of emergency deportation." The teen's platform, which she plans to continue evolving and updating, is already being used by several school districts, including Greenwich and New Rochelle Schools of New York, said Girls With Impact CEO Jennifer Openshaw, a tech entrepreneur and financial expert who started the nonprofit program. Openshaw said girls like Bell, who have participated in the program, have a "huge leg up" in college because they've created a real business plan and launched something tangible, like Bell's online program. Operating for about a year, Girls With Impact works with about 15 girls per class, who live all across the country. The organization has plans to run 10,000 girls through the year-round program by 2022. A new class begins in the fall.